Agrisense is the world’s leading manufacturer of insect monitoring products. 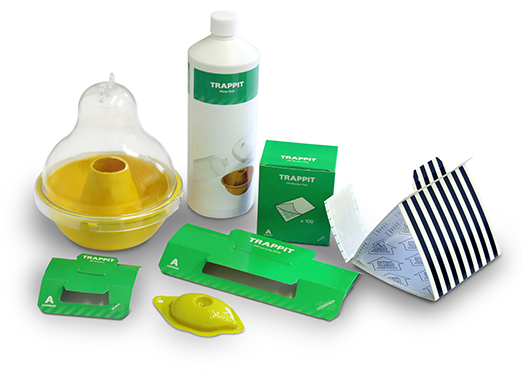 Having started in 1984 as the first company to commercialise pheromone technology for insect trapping we have developed our product range into all types of insect traps. Our reputation for the highest standards of quality and performance have enabled us to grow into the market leader. Agrisense manufactures all of the products in our UK facility and remain committed to our philosophy of putting the customer first. Focusing on pheromone traps and crawling insects we utilize our industry leading attractant technology and knowledge to provide innovative, high quality and efficient products. Agrisense offers a range of bio-rational commercial pest monitoring and control products for the Professional markets, which are used on a daily basis to monitor and control pest populations. Agrisense products are used extensively in the professional pest control industry across the globe. The products offer the pest controller a tool to gain valuable information on the pest to make treatment easier, more efficient and reduce the use of chemicals. From super markets to garden centers in Australia, Europe and the USA you will see Agrisense products offering consumers the opportunity to use an environmentally safe alternative to bug sprays. Agrisense safety data sheets for cockroach, bed bug, moth, general insect, wasp, and fly products. Informative and helpful information on a wide range of commercial products.